We’ve all got a script idea rattling around inside our head. You know, the one that would make a gazillion dollars if Hollywood ever made it. And, of course, if you ever actually wrote it. With their unfamiliar formatting and structure, scripts can seem intimidating for the first time screenwriter, which is why learning to use Final Draft is so critical. Bottom line — it’s the scripting program Hollywood uses, including over 90 percent of working film and television producers. And with Final Draft 10 (available now for only $124.99 – 40 percent off from TNW Deals), this Tinseltown institution of over 25 years has received a game-changing makeover, powered by some new features that’ll have your ideas flowing on to the page. As with past editions, Final Draft 10 handles all the standard script protocols and odd nuances that will mark your work as the product of someone in the know, including pagination, stage directions and other formatting issues that can trip up the screenwriting newbie. But where Final Draft 10 really blows away its competition is with some of its new organizational and workflow tools. With Story Map, you not only have the power to outline scenes, but it allows you to view each individual script scene as part of the whole work. A visual representation of the script will show you if your major plot point is coming too early in the work or if the scene (or any scene) is running too long. Meanwhile, another new feature, Beat Board, helps you actually chart individual characters — their actions, their emotions, their motivations — and makes sure those beats sync up with the rest of your script. In addition to its cool new bells and whistles, Final Draft 10 still does all the awesome stuff that made it the number one no-brainer scripting tool. You get over 100 different templates for screenplays, teleplays and even stage plays of any type or shape. You can store multiple script variations and line changes with ease. You can collaborate with any number of other screenwriters in real time without tripping over each other’s changes. You can even dictate your script for hands-free writing. 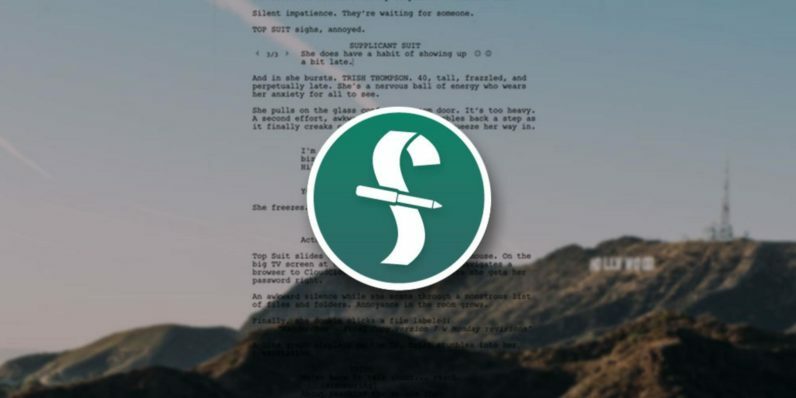 Find out why Final Draft 10 is the world’s top screenwriting software at a big discount, 40 percent off its retail price, while this offer lasts.